Make Offer!! Owner Finance Option Available with generous terms call for details. This one of a kind waterfront oasis on is situated on a private 1.3 acre, deep water lot. The home features an unparalleled outdoor living & entertainment space. A massive custom cedar deck overlooks a pebble tec infinity edge pool & stone hot tub. On the side, you'll find a covered staked stone patio with built-in bbq, fireplace and water feature. The interior is equally stunning. The 5-bed home features a 'wall of windows' in great room that reveals a commanding view of the lake. 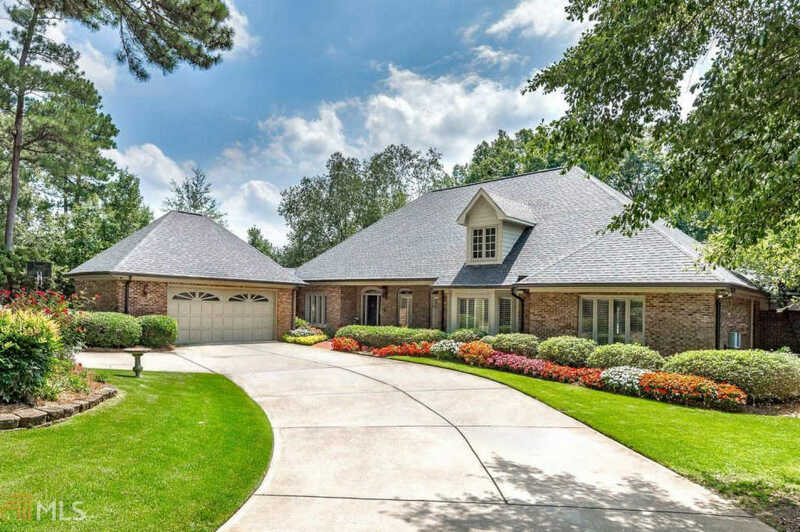 Formal living and dining room, contemporary kitchen, HUGH custom walk-in shower, hardwood floors, stacked stone fireplace, granite countertops and plantation shutters. Lake Spivey at its best!